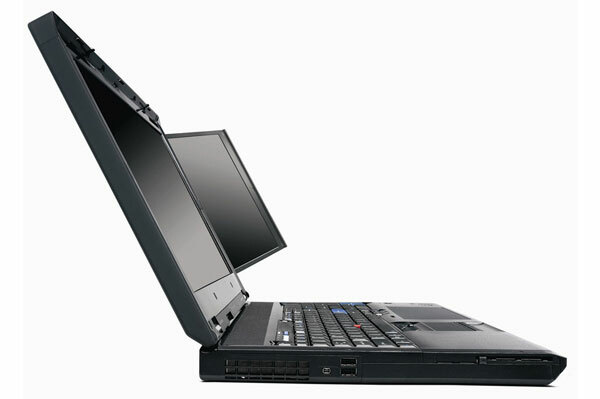 The monster Lenovo ThinkPad W701ds dual screen laptop is an upgraded version of the 700ds. 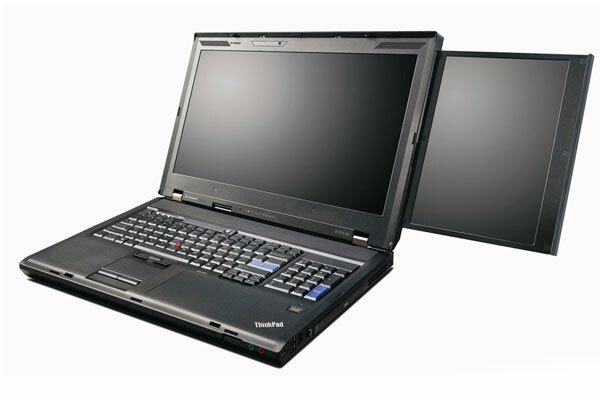 The W701ds has a Intel Core i7-920 Extreme processor at its heart, a 17-inch WUXGA (1920×1200) primary display, and Nvidia Quadro FX 3800M graphics. The W701ds can ship with up to 16GB DDR3 memory, 500GB HD storage, and all models have WiMAX support, one USB 3.0 and four USB 2.0 ports, and a 2-megapixel camera. The secondary 10.6-inch screen with a WXGA 1280×800 resolution is stored behind the main display and can slide out to reveal extra desktop space for multiple appplications. However its not the most portable of laptops weighing in at a whopping 9lbs. Make sure you have wheels on your travel bag.